As the cosmetics industry gathers in New York this week, organizers of In-Cosmetics Latin America are celebrating a resounding success, with a record number of innovations launched at the show’s fifth edition in Brazil’s São Paulo’s Expo Center Norte. The premier event in the region’s beauty ingredients calendar attracted a total of 4,844 visitors. The geographical spread of visitors also rose, with around 25% travelling from outside São Paulo. Areas including Minas Gerais, Paraná, Santa Catarina, Espírito Santo, Ceará, Alagoas, Federal District and Amazonas, among other estates in Brazil, were represented, while 7% of visitors journeyed from countries such as Argentina, Colombia, Mexico and Ecuador. Elsewhere, the Regulations & Testing Zone offered a simplified look at what can be a complicated area for manufacturers. 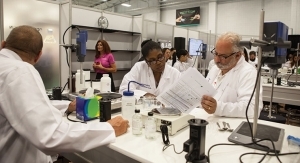 It included a selection of innovative exhibitors, including Pharmilab, Interlab and Allergisa, all of which showcased state-of-the-art testing facilities, as well as talking visitors through current and coming regulations. In-Cosmetics Latin America this year offered the most comprehensive education programme in the event’s history, including the brand-new two-hour Regulations Conference, in partnership with the Council of the Cosmetic, Personal Care and Home Care Industries (CASIC) of Latin America. Taking to the stage for the keynote speech was Luciana Santi, Vice President, CASIC. Her presentation looked at the importance of regulatory frameworks for the fast-growing Latin American cosmetics industry and technological and innovation advances. Next on stage was Roseli Mello, director of innovation at Natura, who discussed cosmetic innovation and sustainable use of socio-biodiversity from her company’s perspective. With the highest-ever attendance at the educational aspects of the show, visitor feedback was positive. Vicente Sanford, operations manager of WU Indústria e Comércio de Cosméticos, said innovation was the highlight of In-Cosmetics Latin America. "We attend the show every year because we are always looking for ways to differentiate ourselves in the market and the show helps us by enabling us to meet suppliers and source raw materials with new benefits,” said Sanford. The wealth of educational tips and advice on offer was paramount for Marisa Lima, coordinator of Fareva, who said that In-Cosmetics Latin America is essential for scientific development in the industry. "There were plenty of interesting formulations on display and it was so useful to be able to connect with the suppliers and learn about their latest work as it is essential for our day to day,” she said. The event’s Innovation Zone showcased 28 of the most exciting active and functional ingredient launches. Gattefossé used the platform to launch its Definicire product, a 100% natural active texturizing agent, based on functionalized jojoba and sunflower seed waxes, that recreates the hair protective lipid layer. It significantly increases hair hydrophobicity, guaranteeing frizz and volume control, curl definition under high humidity and enhanced hair smoothness. There were plenty of innovative new launches with Chemyunion bringing ThermoShield, a heat-protecting active that entraps water inside hair fibres and forms a protective coat; and Symrise Aromas e Fragrancias showcasing Hydrolite 5 Green, a multifunctional ingredient manufactured from renewable raw materials from sugar that hydrates the skin and boosts the efficacy of active ingredients used in cosmetic formulations. • Bronze—Rahn AG for Seboclear MP. The Spotlight On Awards crowned more winners with Chemyunion taking gold for its Make Up Eraser, which was developed in response to the on-the-go trend. Angus Chemical Company won silver with its DMAMP Ultra PC while IFF-Lucas Meyer Cosmetics won bronze for Greyverse. Lastly, Lubrizol took away the coveted Innovation and Technology in Cosmetics, Toiletries and Fragrances (ITEHPEC) Innovation Award for its Fensebiome peptide, which was developed to reinforce vulnerable urban skin to help it face modern life. 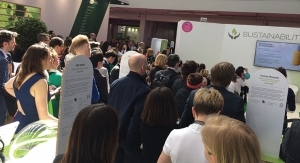 This year’s Fragrance Trail offered a feast for the senses, introducing visitors to the premier fragrance houses, producers and distributors of raw materials and extracts, such as Sensient, Givaudan, Phytoessence, Symrise and Tovani. 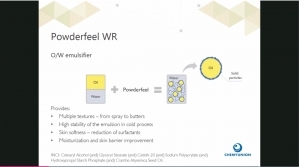 Expert formulation advice was on hand, alongside insight into regional differences in scent preferences, making it the ideal platform for R&D teams to source aromatic components for new skin care and beauty products. The Marketing Trends Theatre played host to numerous leading trends forecasters who highlighted the latest consumer preferences from both international and regional perspectives. Among the experts who presented were Mintel’s Global Haircare Analyst Andrew McDougall and Senior Analyst, Beauty & Personal Care, Juliana Martins. They offered an in-depth examination of trends impacting the industry now and those set to influence the future. McDougall discussed how brands can take inspiration from the way the microbiome is being addressed in the skincare category and adapt this for hair and scalp formulations, while Martins took a closer look at future beauty trends from across the globe that are set to influence Latin American beauty in the coming years. She cited stick makeup formats, in particular, in response to consumer demand for convenient products that can be used anytime, anywhere. Understanding routes to market is also paramount for brands and manufacturers. Helping In-Cosmetics visitors to do this was John Jiménez, senior exploration scientist at Belcorp, who talked delegates through the launch of Amazon’s new Indie Beauty Shop and what the rise of indie beauty might mean for Latin America. Meanwhile, dozens of technical seminars, with topics ranging from detox hair products to human microbiome—ensured beauty professionals left the show with a wealth of knowledge and new formulation techniques under their belts. ITEHPEC also hosted two popular half-day paid-for technical workshops, focusing on the transformation of the cosmetic, toiletry and fragrance sectors. 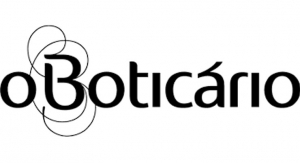 In-Cosmetics Latin America will return September 18 & 19, 2019 at Brazil’s São Paulo’s Expo Center Norte. 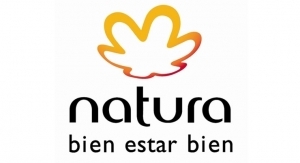 For more information visit http://latinamerica.in-cosmetics.com/.